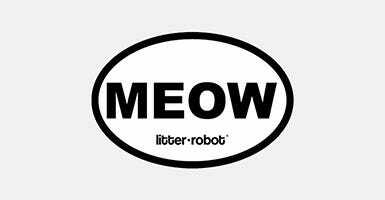 Show your Litter-Robot love with a MEOW sticker! The sticker is great for bumpers, water bottles, to-go mugs, or anywhere you want to spread the word. The Litter-Robot MEOW sticker is UV-coated for indoor or outdoor use and measures 4" x 6". 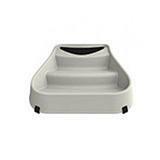 Upgrade to the Litter-Robot 3, the highest-rated self-cleaning litter box on the market. The litter is automatically sifted after each use and waste is deposited into a convenient drawer, all while using less litter and reducing litter spilling and tracking. The Litter-Robot 3 features an expansive litter chamber and larger, upward-facing entryway that gives it an open-air feel, making it much more inviting and comfortable for large cats. This convenient, all-in-one accessory kit is just the upgrade you need for your Litter-Robot 3! Each kit contains a fence, a ramp, 100 waste drawer lines, and three carbon filters. The fence snaps on to the bottom of the globe entrance to help contain kicked-up litter. It also promotes your cat's full entry into the globe to prevent those half-in/half-out messes. Easy to clean and simple to install; no tools required. 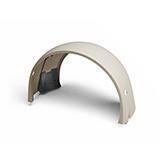 The ramp provides a gentle entry for your cat and catches litter on the way out. 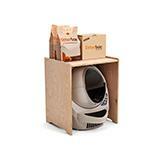 This is a great addition for households with small or elderly cats. 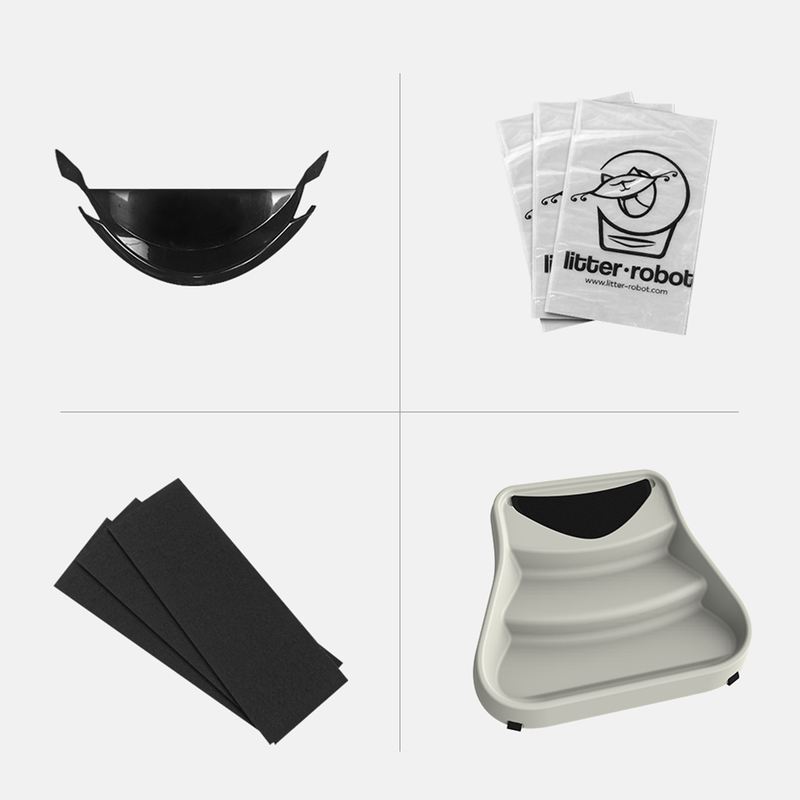 The ramp is designed to fit in front of the Litter-Robot 3 with the existing black step mat, installs in seconds without tools, and lifts off easily to access the waste drawer. Go green and eliminate plastic waste with biodegradable waste drawer liners. They're custom fit for the Litter-Robot to make emptying the waste drawer that much easier. Reduce unpleasant odors and keep the waste drawer fresh with replacement carbon filters. 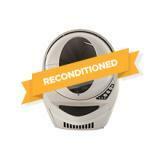 Simply slide out the old one and slip in a new one every few months or whenever you notice more odor than usual.